Rouvalis Flowers - Boston Florist, Flower Delivery, Corporate Floral, Flower Subscriptions, Plants & Garden Design BlogIntroducing Our Summer Collection! Here at Rouvalis, we are excited to introduce our new Summer Seasonal Collection. The season’s colors are bright and vibrant! This time of year at Rouvalis we are excited to exhibit summer flowers that parade vivacious oranges, royal blues, spirited greens, and cheerful yellows. Our arrangements are filled with interesting textures that exaggerate the wonderful colors. High contrasting color schemes such as blue with orange, fuschia with yellow, and lime green with violet embellish our arrangements. Some highlights from our collection include "Avenue," an arrangement we created that showcases one of our favorite flowers for the summer, pincushion protea. 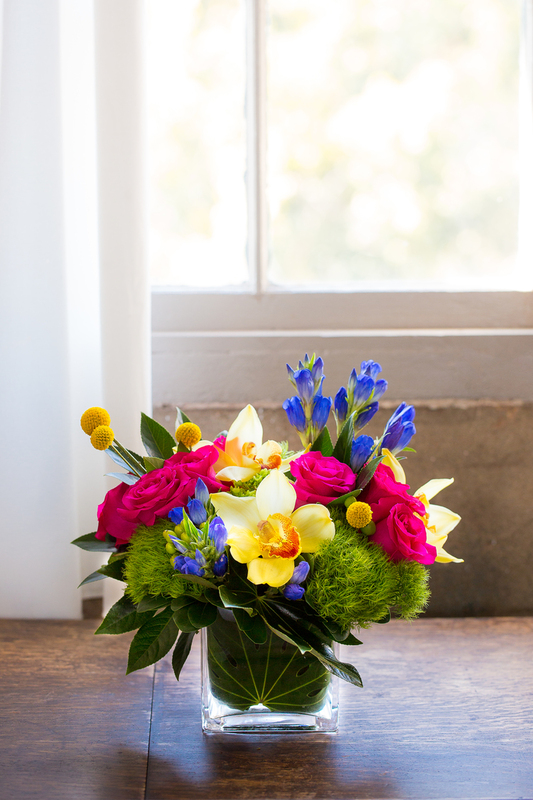 The warm mango calla lillies with orange roses are balanced against a contrasting blue gentian and highlighted with a bright lime green hydrangea. We also love "Maui," a tropical toned arrangement filled with rich purple mokara orchids, allium, and hydrangea, then accented with bright yellow roses and peach hypericum. All of our arrangements for this season include unique, premium flowers with colors and textures to excite and brighten one's day. A showcase of beautiful blooms that you won't find at your average florist, we hope you'll enjoy this season's collection as much as we did creating it!